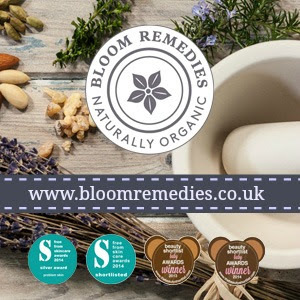 Get 15% off with trusted natural and organic brand Green People – For this exclusive blog discount simply enter code ANA15 at checkout. Valid site wide, no other discounts apply. Some exclusions apply Shop here*. 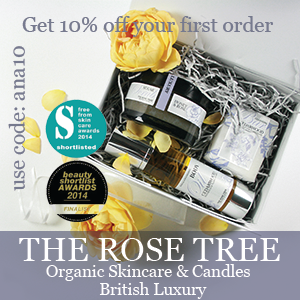 Get 10% off your first order at The Rose Tree with the code ana10 (Not an affiliate code). Gorgeous selection of beautiful small batch skincare and body care. Shop here. Get 15% OFF your 1st order at LoveLula and receive a FREE Argan Oil worth £9.50. T&Cs apply. Enter the website and leave your email address to get the discount. Shop organic and vegan beauty products now! Shop here*. 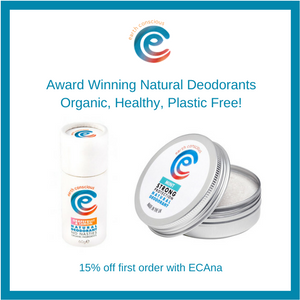 Get 15% off your first order at Earth conscious, shop a variety of natural deodorant balms, with vegan and plastic free options. Use the code ECAna at checkout (This is not an affiliate code, but is an exclusive for my readers). Shop here. Get 15% off when shopping at Lena Wild (Previously known as Wild Beauty Apothecary). Use the code ANAGOESGREEN at checkout (This is not an affiliate code but it is an exclusive code for my readers). Shop here. Some of the codes and offers in this section contain affiliate links (these are marked with a *). I only partner with brands and sites I love.